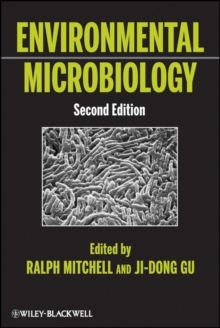 The bestselling reference on environmental microbiology-now in a new edition This is the long-awaited and much-anticipated revision of the bestselling text and reference. Based on the latest information and investigative techniques from molecular biology and genetics, this Second Edition offers an in-depth examination of the role of microbiological processes related to environmental deterioration with an emphasis on the detection and control of environmental contaminants. Its goal is to further our understanding of the complex microbial processes underlying environmental degradation, its detection and control, and ultimately, its prevention. Features new to this edition include:* A completely new organization with topics such as pathogens in developing countries, effects of genetically modified crops on microbial communities, and transformations of toxic metals* Comprehensive coverage of key topics such as bacteria in the greenhouse and low-energy waste treatment* New coverage relating core book content to local, regional, and global environmental problems Environmental Microbiology, Second Edition is essential reading for environmental microbiologists and engineers, general environmental scientists, chemists, and chemical engineers who are interested in key current subjects in environmental microbiology. It is also appropriate as a textbook for courses in environmental science, chemistry, engineering, and microbial ecology at the advanced undergraduate and graduate levels.